Schedule your services like never before. 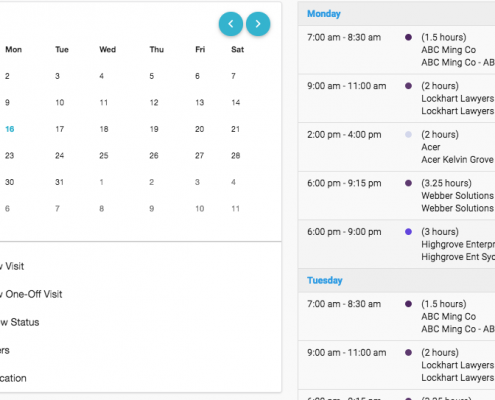 The freshOps Calendar helps manage 100’s of sites unrivalled by your simple desktop calendar. 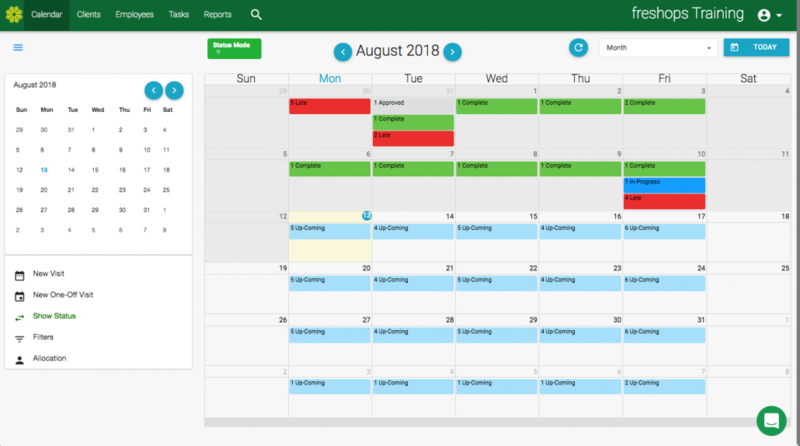 The freshOps Scheduling Calendar simplifies management of your visits and services. 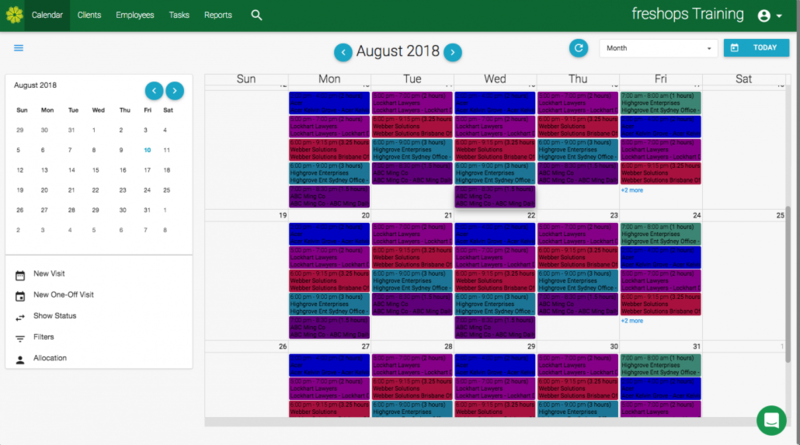 Most service companies simply don’t have a calendar to view all the different occurring services they provide. 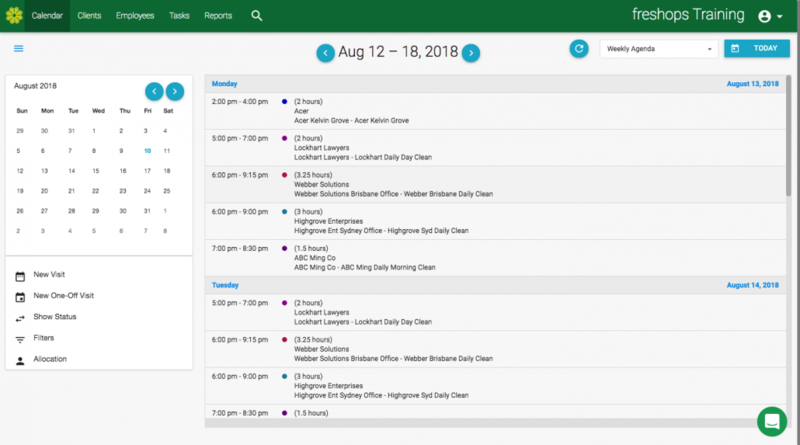 Day to day, our Calendar helps you manage your team, visits and client requests with ease. Multiple views allow you to dive in and see the info you need with ease. 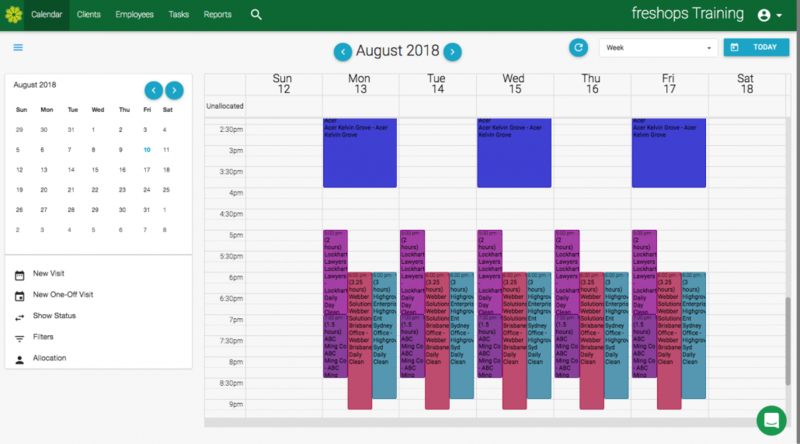 Whether you work with a Monthly, Weekly, Daily or Agenda style calendar freshOps delivers. 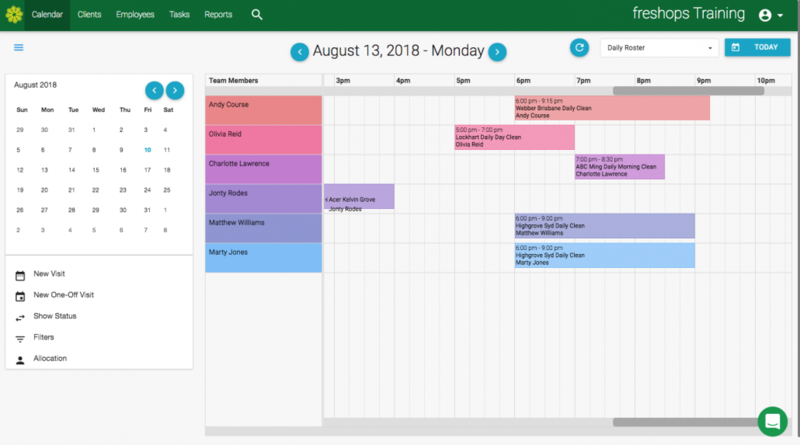 Roster Views also give you power to manage your individual Team members with ease and determine availability. 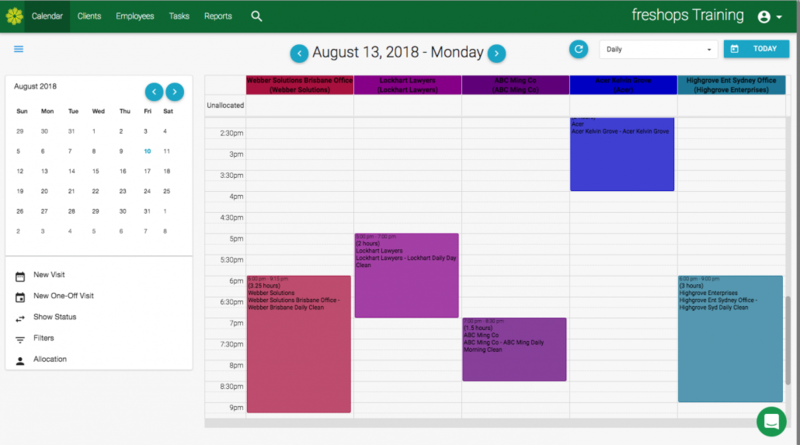 Drag & Drop Visits to quickly reschedule across days or times of the day. Stop the back and forth with staff. Make a change here and your team will be updated in the freshOps Mobile App.